Mumbai: It looks like Jet Airways Ltd.’s luck has finally run out. India’s oldest privately owned airline is on the verge of shutting down all its flights — it already has perhaps fewer than 10 aircraft active — because it simply doesn’t have enough working capital. It’s more than a billion dollars in debt and has lost money for the last four quarters. You could argue that this is a good sign for India: Its institutions are holding up. State-owned banks are Jet’s biggest creditors and they seem unwilling to throw more money at the airline without a clear revival plan. This is a big change from the past, when they kept supporting one of Jet’s rivals, the ill-fated Kingfisher Airlines Ltd., long after it seemed rational to do so. News also broke a few days ago that Jet’s founder, Naresh Goyal, was no longer bidding for the banks’ stake in the airline, perhaps because other shareholders wouldn’t play along. Too often India cash-strapped companies have managed to get their debt restructured, with state-owned banks taking a haircut while the “promoters” who control crucial amounts of equity maintain control of the company. That is an unhealthy lack of accountability and we should all be glad it doesn’t seem to be happening in this case. Jet has 23,000 employees and a devoted fan base, yet isn’t an easy company to love. I say its luck has run out because in the past it consistently seemed to benefit from government intervention that drove many of its full-service competitors out of the market. It’s the only survivor from the first round of private Indian airlines that started flying in the 1990s — and, in many Indian sectors, that usually means that you’ve managed the government much better than your peers have. In the end, however, the market wins out. If you are competing against low-cost airlines that still somehow provide equivalent service in economy class, you can’t dodge fate forever. If Jet goes, and Air India is eventually shuttered, the world’s fastest-growing aviation market will have just one full-service airline left, a collaboration between Singapore Airlines Ltd. and the Tata Group. 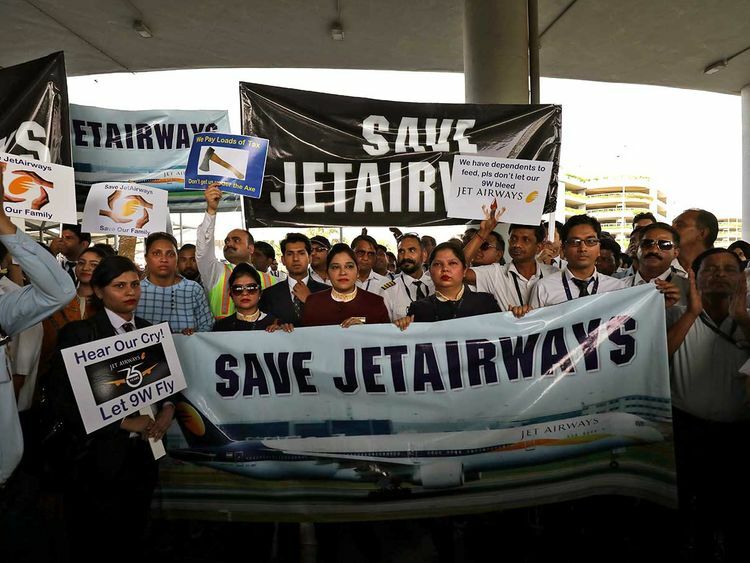 The Tatas have long been obsessed with aviation; Jet blocked an earlier attempted collaboration from taking off, and Air India itself was Tata-owned and founded before it was nationalised decades ago. I am somehow not very confident that a group that ties its identity to aviation will manage to run a profitable airline for long — though I hope, for Indian flyers’ sake, that I’m wrong. If I’m right, though, we face the very real possibility that sometime in the future, there won’t be a single full-service airline flying domestically in India. Is that the future of aviation worldwide? Or does it tell us something very specific about the nature of the Indian market? Indian low-cost carriers are good by world standards: They are pretty ethical about not hiding extra fees for example, perhaps because if they charged you to print out your boarding pass at an Indian airport, there would be riots. But it’s still odd that a country that might soon be the world’s fifth-largest economy is unable to support a healthy aviation sector. I can’t help thinking this tells us something about the reality of the famed “Indian middle-class”. While marketing executives and consultants worldwide might salivate about its growth and potential, the facts seem to suggest that regardless of increasing prosperity, we are still very much bottom-of-the-pyramid consumers. Who needs free food, lounge access or the possibility of an upgrade anyway? If Jet survives, it should do so without help from the government and without pressure on state-owned banks. Certainly, it shouldn’t be bought by the government’s own investment fund: Indian taxpayers already own one debt-ridden airline. If Jet collapses, we should see its demise as another sign that sectors in even an increasingly prosperous India may not look like their counterparts elsewhere. Or perhaps we are just ahead of the times, and low-cost carriers may slowly eat away at full-service airlines across the world.